Skyscraper Sunflower-(Helianthus annus)- Also known as Mammoth Russian Sunflower. 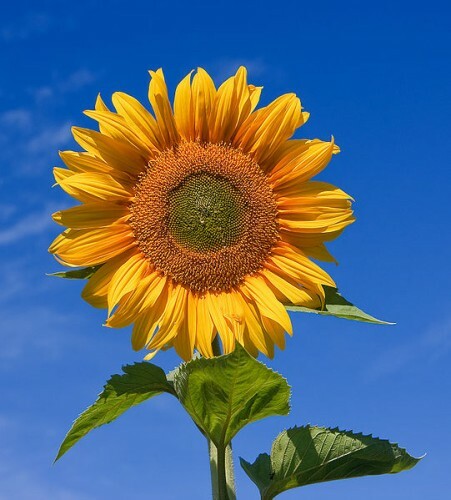 A giant sunflower that can grow to 15 feet tall! Seeds are edible. Blooms are bright Yellow and occur during mid-summer. Space plants 2-3 feet. Grown in full sun in well drained soil.